My Hub is the place where staff go to organise their day. 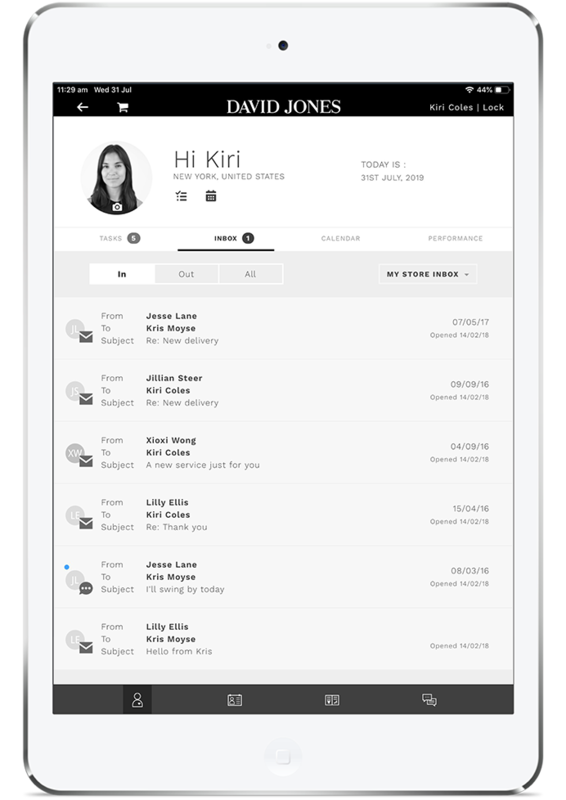 We integrate client and staff calendars, tasks, automated customer journey reminders and reporting data from all sources – not just financial, not just operational – but everything Sales Associates need to make the best decisions. 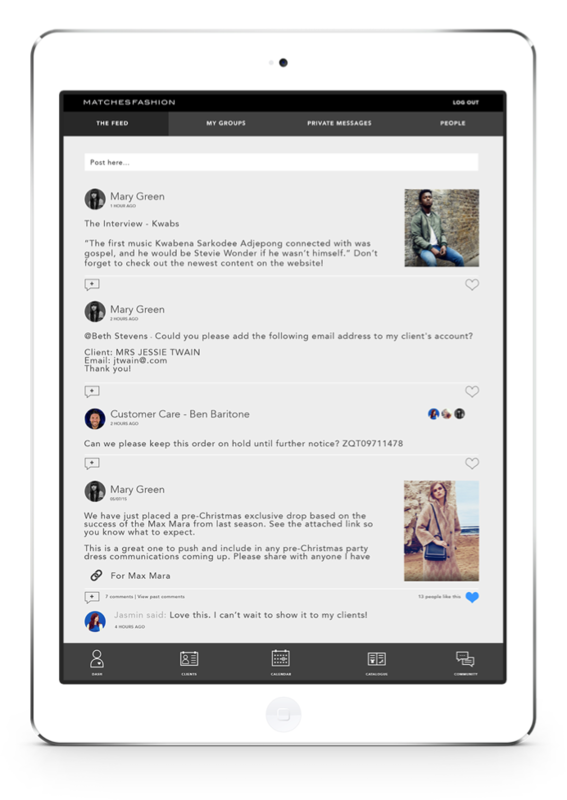 Customer Hub allows Sales Associates to interact with customers on the shop floor. 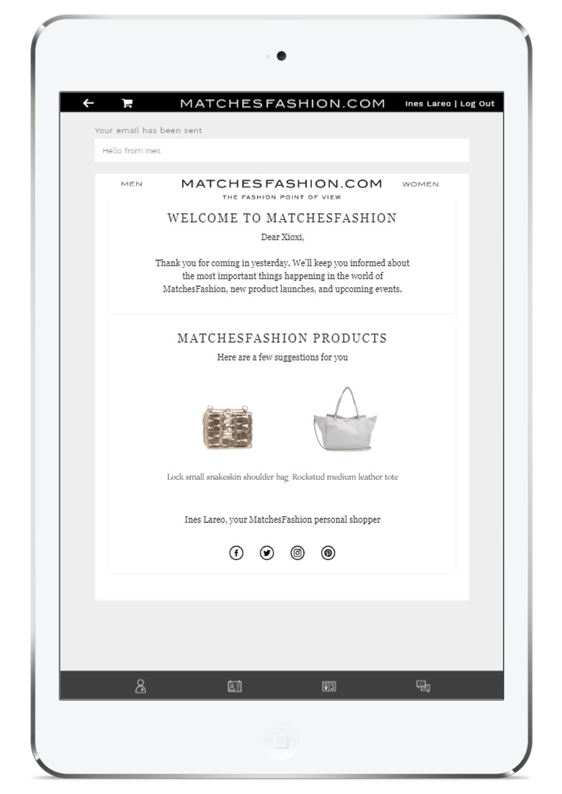 They can review past interactions from every channel to inform a shopping experience. 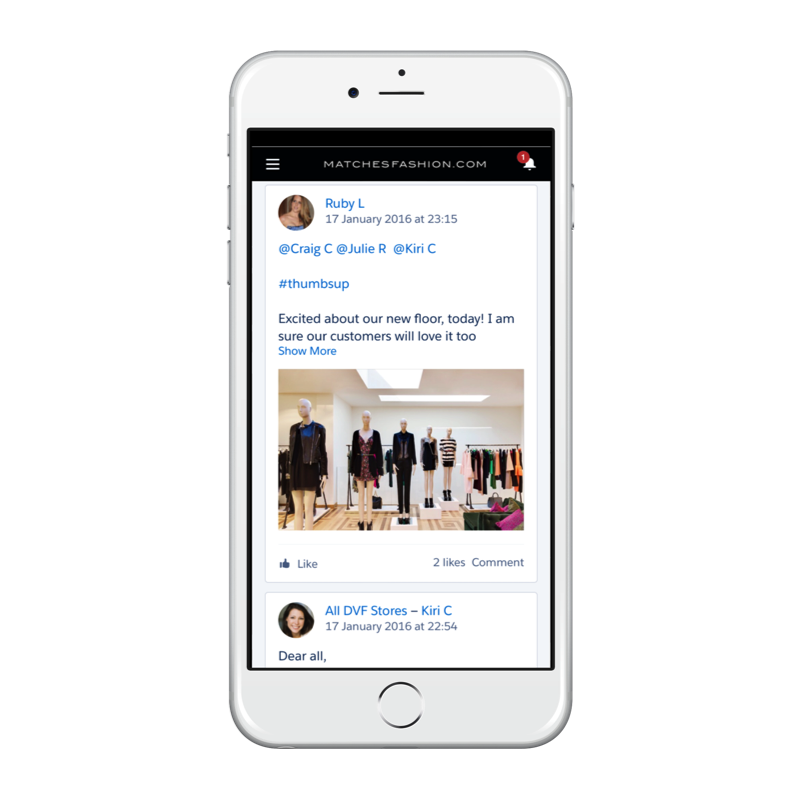 After the client has left the store, sales associates are guided to continue the conversation meaningfully using email, text and social media. Commerce Hub brings together all of the rich content and copy into the hands of the Sales Associate. 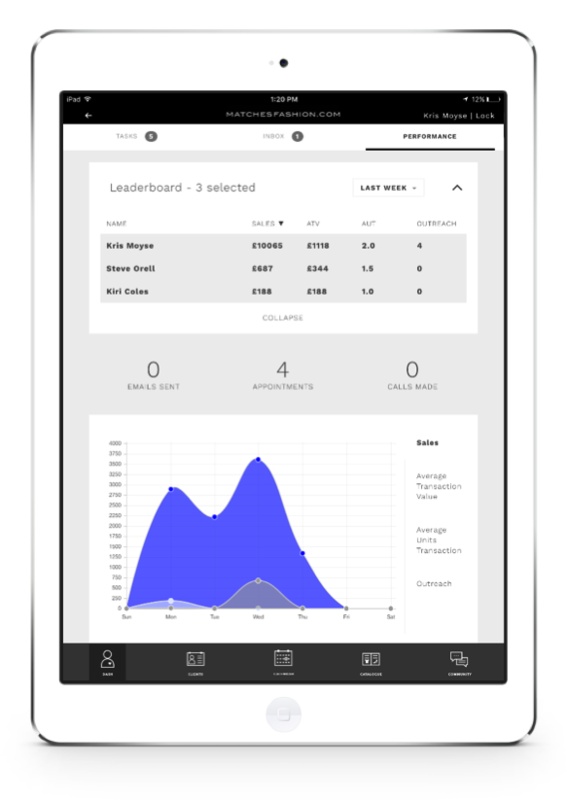 It is integrated with stock management systems to show inventory availability; allowing sales teams to deliver omni-channel customer journeys such as order in-store, deliver to home, click and collect and order online. Brand Hub is where staff contribute to the heart of the brand. They do this by sharing insights on new products, reviewing shop operations and receiving brand messages. Staff are able to see what’s happening across the brand in real-time. Management Hub provides the back-office power that corporate and store management teams demand. 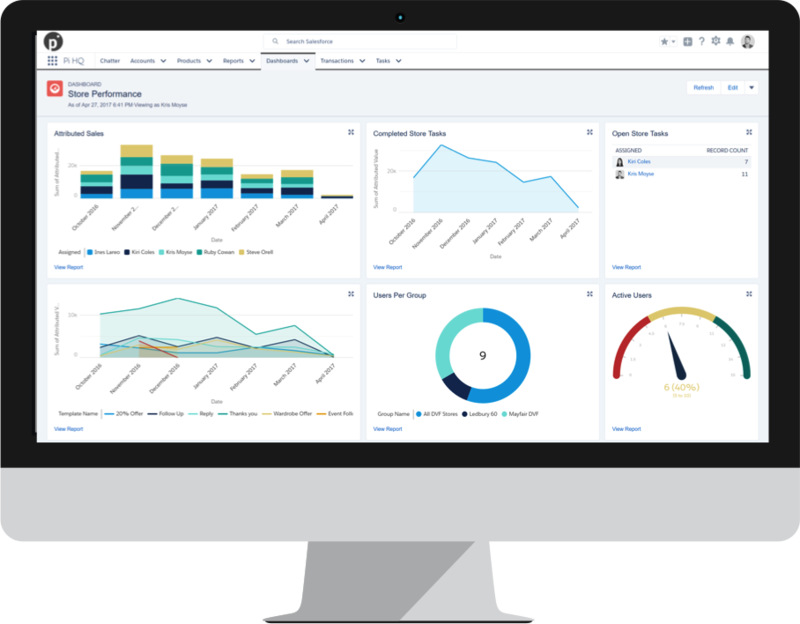 Including business process design, operational workflows, performance engine functionality and engagement tracking and auditing.